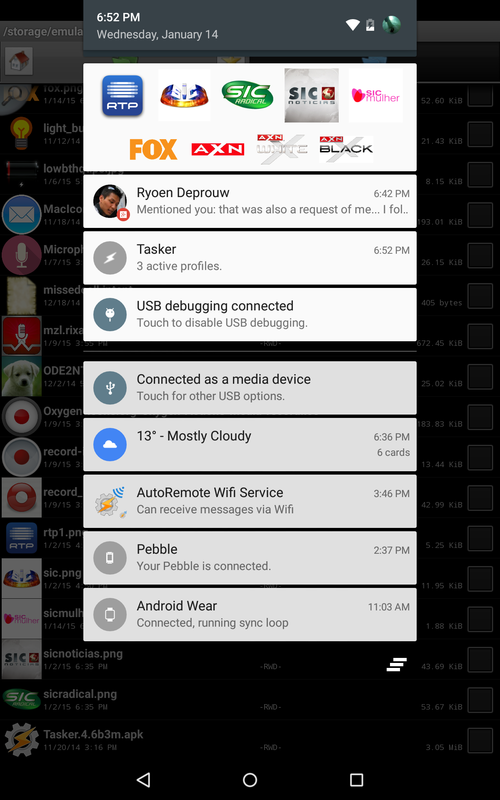 The app can cram over 50 buttons into a single notification. 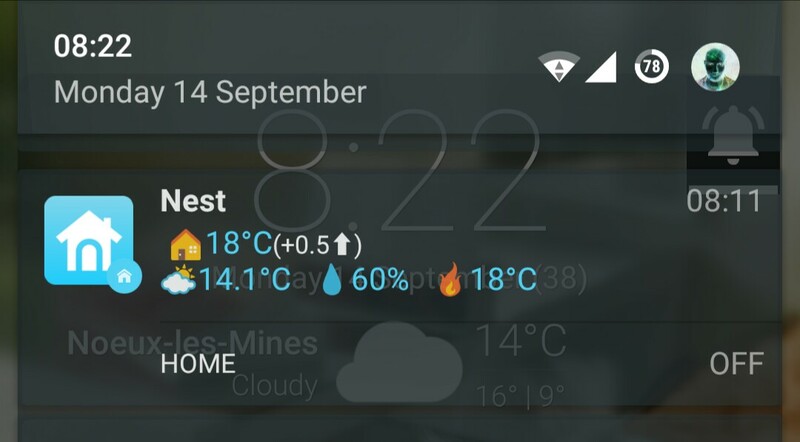 One way to utilize this functionality is by creating a remote control that you access from the notification shade. 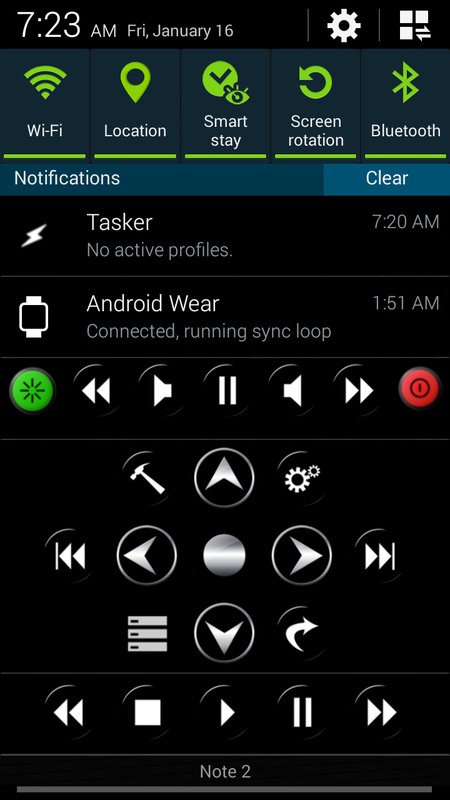 Because of the "auto" part of the name, you can have the notification appear automatically when you plug in headphones. Since adding buttons is hardly the end-all be-all of notification-interaction, this release includes a few other enhancements. You have the ability to update only specific fields in a notification such as the name of a currently playing track without having to refresh the app title or media controls. People who are really into configuring this aspect of the UI may also appreciate enhanced notification cancelling and non-standard notification button clicking, along with the ability to underline, bold, and otherwise alter text using basic HTML formatting. You can also draw icons. As for a different type of notification, you can now respond to income messages inside pop-up windows while the app remains in the background. 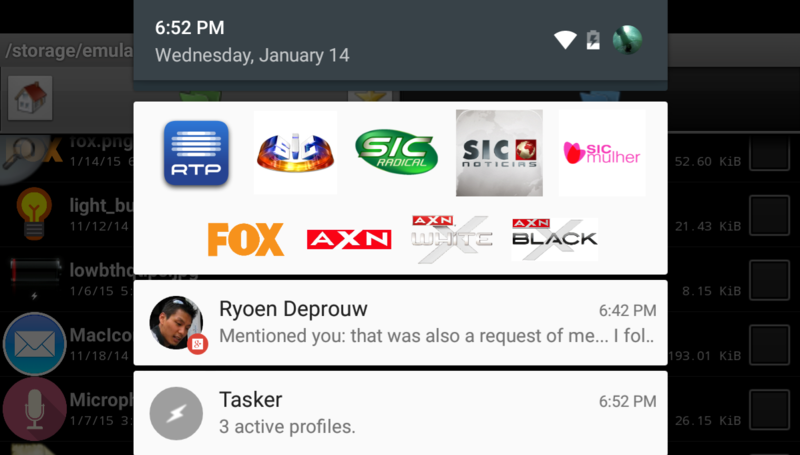 The developer says this feature works with most messaging apps as long as you're running Android Lollipop. As always with joaomgcd's creations, there's a learning curve. 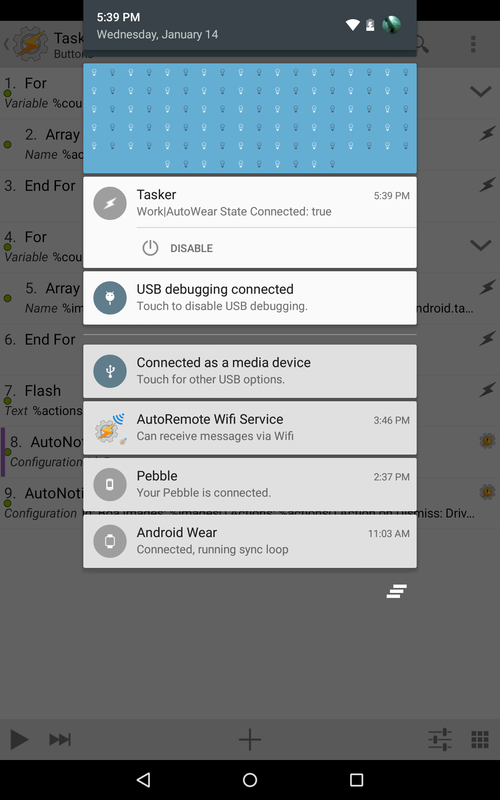 AutoNotification is a plug-in that requires Tasker to use. You also have to deal with a few restrictions if you don't pay for the full version, which you can read about on the Play Store pages below.